Junia is part of ALMT’s corporate-commercial and capital markets team. She was admitted to the Bar in 2001 after receiving BA and BL degree from Dr. Ambedkar Government Law College in Chennai. She had completed her Masters’ in International Law and Constitutional Law from University of Madras in 2003. 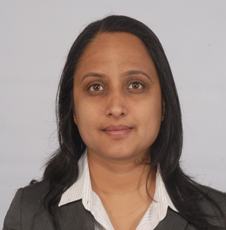 Prior to joining ALMT Legal in August 2004, she was working with another reputed law firm in Bangalore. Junia has advised and assisted a number of clients in establishing their presence in India and overseas jurisdictions through incorporations of companies and/or setting up of branch/liaison offices. She has also been involved in filing of applications for approvals and reporting with the Foreign Investment Promotion Board and Reserve Bank of India. She has also advised a number of Indian & foreign companies in matters relating to issue of securities including Initial Public Offerings, Rights Issues, Qualified Institutional Placements. Her Capital Markets experience includes acting for the listing company or investment banks in Initial Public Offerings of Indian companies on Indian stock exchanges and their foreign holding entities on the Alternative Investment Market. She has extensively worked on various employment law matters including those arising as a consequence of business transfers, integration of acquired businesses and internal compliance audits. In this regard, she has drafted and advised on employment related documentation including ESOPs (Employee Stock Ownership Plan), Employee Policies and Code of Conduct, Employee Contracts for senior managers and service agreements.